Whenever we recommend tools and software to Amazon FBA sellers, we start with the basics so that they can keep the costs low. We believe in saving as much money as possible. That’s where Amazon is great as it does not take a lot of capital to start an Amazon business. You will definitely need a PC, smartphone, scanning app, printer, and a few other tools to get started as an Amazon FBA seller. Beyond that, you’re free to choose the software and tools you want to add. As you grow as an Amazon seller and build your business, you will soon come to a point where you would want to increase your efficiency and become more productive. This is when you should consider using the best Amazon FBA tools and software to make your work easier. 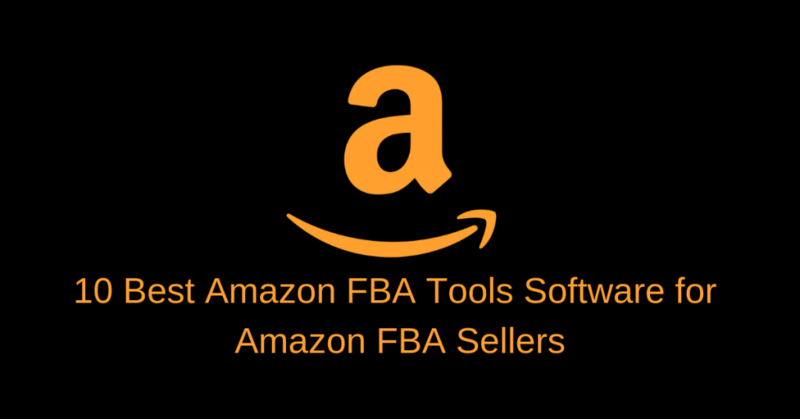 To help you out, we are sharing some of the best Amazon FBA tools and software. You don’t necessarily have to use all of them but you should definitely try some of them to increase your business efficiency and become more productive. Some of the tools we have listed below are great for keyword research while others can help you determine the pricing of Amazon products and the profit margin. We have also listed a tool that can help you manage your reviews and collect feedback from buyers and another one that you can use to automatically re-price your products. So, without further ado, let us take a look at the ten best Amazon tools and software for Amazon FBA sellers. Daniel Green created this peculiarly named FBA tool for Amazon FBA sellers. Camelcamelcamel is a treasure chest of resources and information for anyone doing business on Amazon. All you have to do to get started with this tool is to create an account. Then you will be able to use camelcamelcamel for free. You won’t have to worry about paying for expensive tutorials and downloads as everything can be accessed without a fee. The site does a great job of tracking the prices of products available on Amazon and sending the deals right into the member’s account. The browser add-on of the tool is called ‘Camelizer’ and it’s currently available for Chrome, Safari, and Firefox browsers. There is a ‘Tools’ section on the website where you can find free Amazon price tracking tools. Camelcamelcamel website also features a guide on popular products, a blog, and top price-drops. You can also view history charts and sign up for free alerts on price drops. The price history data and sales rank are extremely useful for Amazon FBA sellers. What camelcamelcamel lacks is the ability to filter based on percentage range and price. Camelcamelcamel shows the highest and lowest prices separately in red and green fonts. This makes it easier to determine whether the product’s current price is good. One of the smartest and oldest price tracker tool, Keepa is an extremely vital asset for Amazon FBA sellers. Although we find the layout of this tool quite bland, it offers a number of advanced tools such as price history graphs, deal alerts, stock availability alerts, price drop and browser add-ons for Edge, Operate, Firefox, and Chrome. You can use the tool to search for products being sold under deals by sales ranking, ranges, and category. Keepa also gives the option to search for Amazon products by drop percent range. You can select a certain range in percentage and then search for a product. It is important for you to stay aware of the prices of products so that you can maintain your prices accordingly. For example, if you search for Apple iPhone and chose 20%, you may get listings where the iPhone’s price dropped by about 20%. There is also a drop range feature where you can search using dollars instead of a percentage. The historical price of the selected product will appear in graphs. Keepa is currently considered one of the top price tracker tools for getting price drop alerts via Facebook, Telegram, Twitter, RSS feeds, and emails. The browser extension of the tool makes things easier as price history can be viewed on the Amazon product page. The Keyword Tool is one of the best tools for Amazon FBA sellers. Millions of people are using Amazon to shop online. They search for products they like and then buy them. As an Amazon FBA seller, you should know the products people are searching for the most. More importantly, you should be aware of the keywords they are using to find products so you can optimize your Amazon listing properly. The Keyword Tool can help you with this. This tool uses the Amazon autocomplete to generate a large list of relevant long-term keywords that you can use for keyword optimization. Keyword Tool takes your seed keyword, puts it into the Amazon search bar and appends it with various numbers and letters. Then, the tool pulls all keyword suggestions that Amazon has generated and presents it to you. The process happens in seconds. If you are an Amazon FBA seller, you should use the Keyword tool to optimize your Amazon listing to help buyers on Amazon find your products easily. This could lead to increased sales for your business. The Keyword Tool is free to use. There is also a paid version – Keyword Tool Pro – that provides two more keywords in comparison to the tool’s free version. You will also get access to several other features that’ll make keyword research work faster and easier for you. FBA Calculator Free Extension by AMZScout is an important tool for Amazon FBA sellers as it allows them to quickly determine profit margins on Amazon products. Making a profit in an Amazon FBA business takes research, time, and careful calculation. Without these, it’s hard to thrive as an FBA seller. FBA Calculator Free Extension is particularly useful when you’re browsing Amazon to get ideas about products to sell and want to calculate the potential profit on them. The toolbar button gives information to you on-screen in a few seconds. AMZScout’s free extension is good for calculating FBA fees while checking products on Amazon, but it isn’t a good fit for doing calculations with different dimensions and weights. There isn’t any need to enter the code or name of the product with AMZScout’s FBA Calculator. Instead, you just have to install the extension once and activate it when you’re on a product page. In the extension, data entry fields are available for product selling price and cost, the cost of shipping and estimated monthly sales. Additional fields are also there for taxes and CPC advertising. However, there aren’t any charts for an Amazon seller to compare their own fulfillment costs against that of FBA. FBA Calculator Free Extension tool is only useful if the product you’re interested in is on Amazon. Moreover, there isn’t any way to change the weight or dimensions of the product. Available as a Chrome extension for FBA sellers, AMZBase helps speed up the Amazon product research process. With this tool, you can find products to sell with ease by obtaining the description of listings and ASIN number. Some amazing features of the AMZBase include the ability to check listing information on other websites and a built-in search engine for products on Amazon. The internal Google search functionality allows the AMZBase to function as an avenue for product sourcing. You can search for products on Google or find them on a third-party marketplace like Alibaba and determine if they are worth sourcing. We like this Chrome extension as it stays hidden and can easily be accessed when a seller is interested in researching. Sonar is another important tool that you should consider using for Amazon keyword research. It offers free keyword research and has become quite popular among Amazon FBA sellers. The platform provides you keywords based on original search queries of Amazon users. A simple search is all that’s required to get the best keywords for your Amazon products. You can reverse search too by ASIN number of a relevant product to check out your product pages and those of your competitors. The database is regularly updated so you will always get relevant keywords from the Sonar tool. If you sell seasonable products on Amazon, you would want to know the trending keywords that customers are using to search for that product and other similar products. With Sonar, you can research keywords trends for product/niche and ensure that your Amazon listings are updated with the relevant keywords. The search functionality in the Sonar tool provides you with four different modes. If you want to perform an ordinary search, then select the ‘Keyword’ tab. If you want to run an advanced search to get synonymous terms, select the ‘Extended’ search mode. The ASIN reverse mode is also useful as it will provide you with all the keywords with which an Amazon product available for sale is ranked. With the translate mode, you can carry out cross-market research (Spanish, English, Italian, French, and German). The researched terms’ search volumes aren’t provided in exact values. Instead, Sonar provides them through its own “bar grading system”. Five bars represent the maximum search volume while one bar represents the minimum. AMZFinder is a great software that serious Amazon FBA sellers should consider using. It has two main functions: Review Management and Feedback Request System. Review Management allows Amazon FBA sellers to see all customer reviews in one place. So, you don’t have to go to seller central and browse through every country you sell in and through all of your products. Everything is right there in the AMZFinder dashboard. If you receive a negative review from a customer, you’ll see the review’s status as ‘pending’. This means that the review needs your attention. If you want, you can contact the seller directly to fix the issue. After you’ve dealt with the review, you can change the status to ‘done’. Feedback Request System is a very handy tool as well. Amazon does send emails to buyers requesting feedback on the products they bought from an Amazon seller but rarely do sellers actually get feedback. Fortunately, they are allowed to ask buyers for feedback themselves. Information about this can be found at Amazon’s policy page. Inside the AMZFinder dashboard, you may create your own feedback/review template. If you wish to see how it works and looks, you can test it by sending an email to your own address. This is useful as it helps ensure that correct data is inserted into a custom template. The Feedback Request System allows you to choose after how many purchases you want the email to be sent to a customer. The automated process saves you some time. You can also send the emails manually yourself at a specific time. Overall, the AMZFinder is packed with impressive features. This is why we strongly recommend using this tool for collecting feedback and managing reviews. Algopix doesn’t specifically focus on Amazon but instead takes multiple marketplaces into account to give Amazon FBA sellers an idea of their product’s viability outside of Amazon. If the product they want to feature is not selling anywhere else, they might want to consider selling another product. In a matter of minutes, Algopix will provide you invaluable information like expensive breakdowns, competitive analysis, and selling price recommendations to help you make the right decision. Algopix allows you to analyze several products at once. All you have to do is enter the detailed product name or ASIN number of what you are selling. It will then return income after costs, product demand, and other metrics. While Algopix does give invaluable insights to Amazon FBA sellers, there is one bug in this software that is worth pointing out; it runs a bit slower than other tools. Developers of this software need to work on a faster, robust build. Algopix can limit risk in selling by providing valuable insights to you. You may be able to increase your profit by using the breakdown of fees to price your products better. Additionally, it could help you diversify your sales mix while keeping profit margins high. We recommend this software to all Amazon FBA sellers. Jungle Scout is one of the most popular analytic software for Amazon FBA sellers. It has been around for many years now and several changes have made it near-perfect. Jungle Scout has a huge product database which continues to grow. The workflows are easy and smooth and it is simple to find invaluable product data like demand and inventory through this software. Jungle Scout offers a number of metrics as well as a comprehensive view of the competition level of a certain product by taking multiple factors into account. You can easily browse Amazon to find the products of interest and then see the data about the product using the Chrome extension. You could also use the Jungle Scout’s web app for detailed insights. There are different pricing plans for a web app and a Chrome extension. Depending on your needs, you can benefit from a number of features including monthly revenue and sales information, rating and review tracking, ongoing support, and category and seller ranking. These features are available with the Chrome Extension Lite, starting at $97 per year. If you want more features, you could choose the Chrome Extension Pro that comes with historical sales and pricing, FBA fee estimator, product profit calculator, and product opportunity store. In addition, you get all the features that are available with the Chrome Extension Lite. RepricerExpress is the last tool in this list. However, you shouldn’t doubt its potential based on this. It is an extremely powerful automated re-pricing tool for Amazon sellers and eBay sellers. RepricerExpress allows sellers to automatically price their listings according to the competition so that they win more Buy Box and sell more items without having to constantly monitor their account. Amazon and eBay sales who have used RepricerExpress have reported an increase in sales. Amazon FBA sellers love the flexibility this tool provides them. RepricerExpress is extremely fast and allows a seller to aim for higher positions in offer listing pages which could improve product visibility and positively impact user sales. This tool will make re-pricing a breeze and help you stay one step ahead of your competitors. It will keep your products visible in the search and listings by automatically re-pricing them with competitive rates, maximizing your selling opportunities. RepricerExpress provides valuable information about product prices. Need to know the number of times prices of a particular product has changed in the past month, week or hour? RepricerExpress gives you this information and much more. The filtering capability of the tool accelerates the process of finding and using data. Choose the criteria for the type of data you need and the tool will provide you with the information. RepricerExpress also allows you to find products through powerful filtering. If you want to stay competitive on Amazon, you must know your competitors and RepricerExpress can help you with this. It has all the tools and features you would need for identifying who you should deal with based on higher seller ratings, similar products, seller feedback, location, item condition, and dispatch time among other factors. RepricerExpress has five pricing plans, distinguished by the number of listings accommodated. All plans come with a free 15-day trial period and provide multichannel re-pricing. The pricing breakpoints are at 2,500 listings (USD 55 per month), 5,000 listings (USD 79 per month), 10,000 listings (USD 99 per month), 25,000 listings (USD 159 per month), and 50,000 listings (USD 249 per month). All plans provide the same functionality and features; the only difference is the number of listings. Using re-pricing systems has become imperative for Amazon sellers because of the tough competition. RepricerExpress is undoubtedly one of the best re-pricing systems available on the market, so sellers should consider using it. We have discussed some of the best Amazon FBA tools and software that you can use to streamline your business on Amazon. If you are an Amazon FBA seller, you should definitely consider using the tools we have mentioned above. Some of the tools are free which is great for you if you are just getting started. While others come with different pricing plans, you have the flexibility to choose the one that fits your budget and needs. Since there are a variety of tools and each performs certain specific tasks, carefully read the details of every tool we have mentioned and see which could be useful for you. Determine your needs and then select the tool or software accordingly. For instance, if you are struggling to do keyword research, then use the Keyword Tool to find relevant keywords you could use for Amazon listing. If you want to collect feedback and respond to reviews left by your customers, then use the AMZFinder. Scott L. Macarthur is a marketing consultant and an online author. 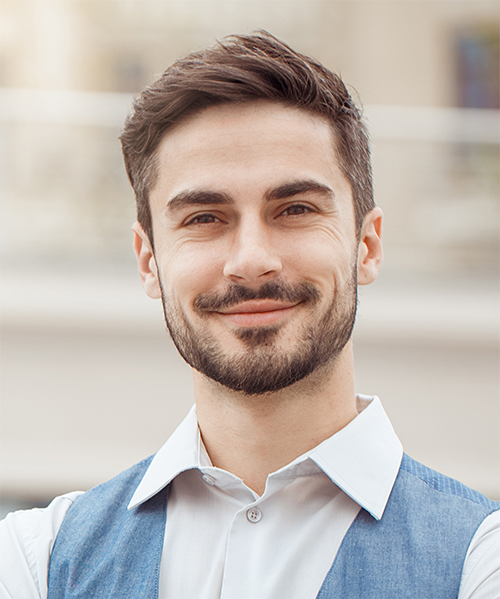 He is mostly engaged in providing his expertise to startups and SMBs. He is also an author on TheNextWeb.